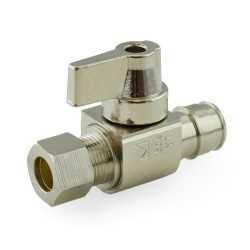 The 129-G2W1C from Sioux Chief is a 1/2” PEX-A x 3/8” OD Compression Straight Stop Valve, Quarter-turn. 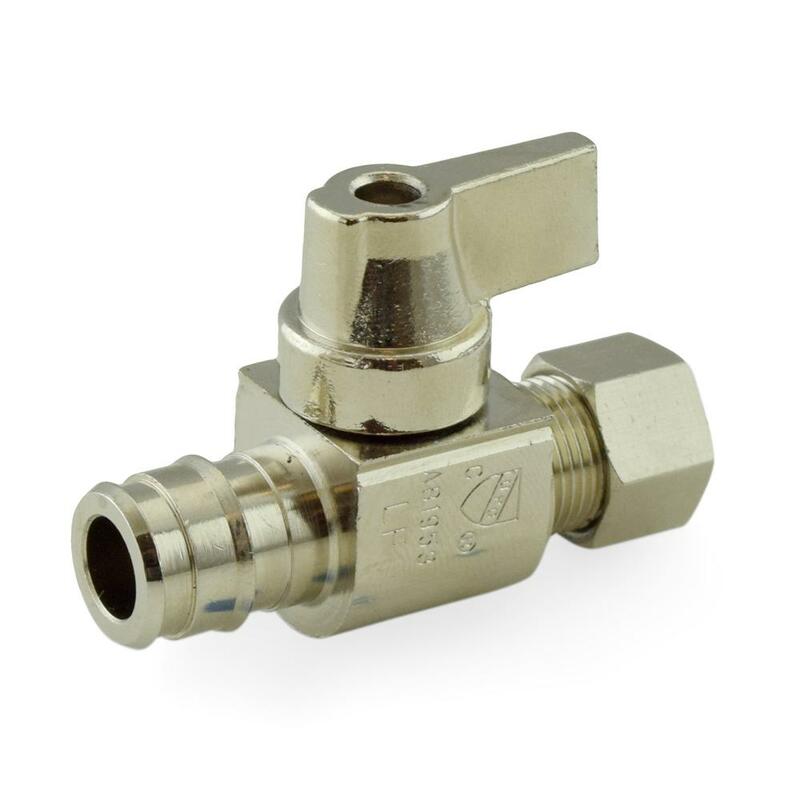 Expansion fittings are intended for use with PEX-A tubing only. Direct replacement for Uponor LF4865038. Approved for potable water use (meets NSF/ANSI 372 & 61-g). Bright, nickel plated No Lead valve.